The National Conference (NC) has stressed the need to restart a sustained and uninterrupted dialogue between India and Pakistan to find a solution to all disputes, including the Kashmir problem. The party also demanded J-K autonomy in a resolution adopted at the end of the two-day meeting of the party’s working committee. 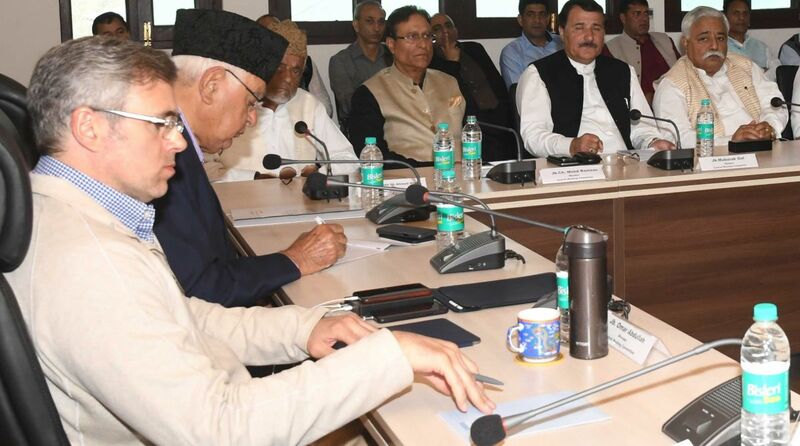 The meeting was convened in Srinagar on Tuesday under the chairmanship of former chief minister and MP Farooq Abdullah. The resolution described as “extremely unfortunate” cancellation of the proposed meeting between the foreign ministers of the two countries. “We are of the firm opinion that continuation of the dialogue between the two countries is the only way available to settle all disputes between and is also in the larger interest of people of the sub-continent,” the resolution said. Reiterating its stand to defend and protect Article 370 and 35A of the Constitution of India, the party said protection and defence of these Constitution provisions and restoration of J-K autonomy were the bedrock of National Conference’s policy and political agenda. “This is essential to protect the distinct identity of the state and its people. We believe this is the right time for Government of India to consider the autonomy resolution passed by the state legislature. This will be a serious and meaningful effort by the Govt. of India to convert the Independence Day commitment of the Hon’ble Prime Minister Shri Narendra Modi when he committed that neither bullets nor abuse is the way forward, it is by embracing Kashmiris that the solution to the Kashmir problem will be found,” said the resolution. Stating that NC “stands for the unity, integrity and the special status of Jammu and Kashmir”, the party said it would continue to “strive to defend its secular character”. The meeting blamed the “opportunistic alliance” of PDP with BJP for the “worrisome” deterioration in the security scenario of the state. “There is no sense of security on the ground,” said the NC. It urged the Central government and the state administration under Governor Satya Pal Malik to take immediate steps to restore a sense of security in the state. A zero tolerance policy for human rights violations must be reiterated and implemented in letter and spirit. The party expressed concern over the spiralling prices of essential commodities, including LPG, petrol and diesel.